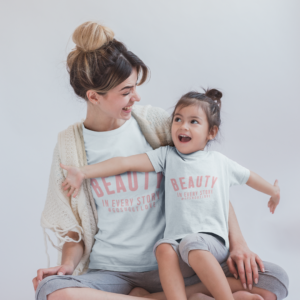 The message of “Beauty in every story” marks Go Shout Love’s comeback in July of 2018, returning to the ongoing mission of shouting love for amazing families with children battling rare illnesses. This unisex tee features a uniquely soft triblend fabrication, modern fit, and crew neck. Half of all proceeds will go to the featured family during the month of the purchase. July sales will go to the TBD featured family of August.